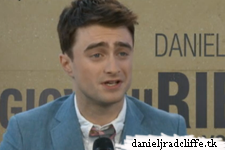 Below you find some new footage from back in 2013, exclusively from (Daniel J Radcliffe) Holland via Films & Sterren like I announced on Facebook. It's from the Venice Film Festival press conference for Kill Your Darlings (Giovani Ribelli) which took place on 2nd September 2013. Also features John Krokidas and Michael C. Hall.